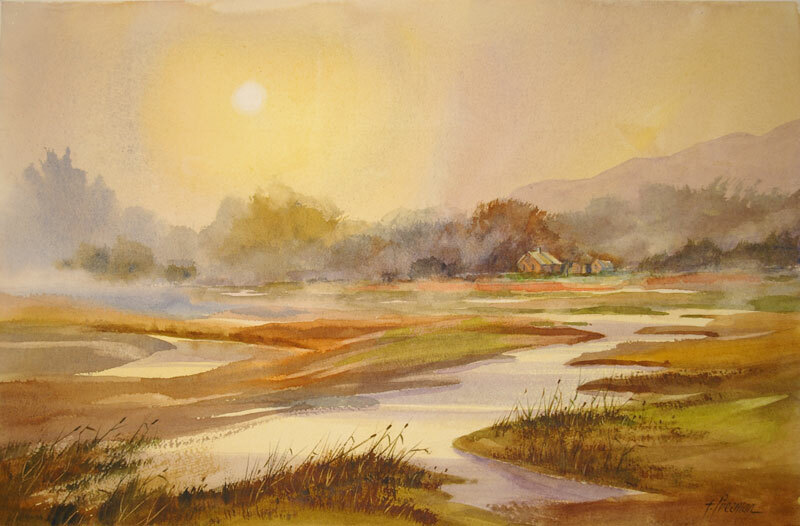 Thomas Freeman Original Watercolor Painting: "A Cold Winter Morning"
An imaginative painting of a creek, lots of idle water, fog and a small house tucked into the forest. Inspired by similar scenes in the Michigan countryside. Much care is required to keep the sky and soft areas clean of water spots or drops of color.